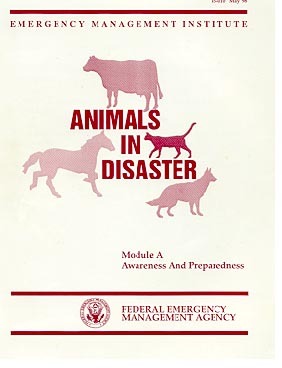 2)"Animals & Emergencies" and "Animals in Disasters"
Extremely helpful information across the whole nation !!!! Look for your State or City among these. The animals deserve the same right to a safe and happy life that we humans do. 5) For Rescuers and Rehabbers - life-saving information on how to treat an animal infested with maggots. 6) Click to view document "Autistic Children & Family Pets"
http://www.lovethatcat.com/spayneuter.html NATIONWIDE Programs offering LOW-COST or free Spaying or Neutering for your pets! http://www.nashville.gov/oem/fp_protect_pets.htm "Nashville - Disaster Preparedness for Pets"
"By Gary Arnold, Collier County Emergency Management "
** "An overlooked but VITAL part of effective animal rescue in emergencies is: clear communication between municipal personnel & animal rescuers, shelters, animal hospitals, pet owners. ** People involved in emergency situations MUST COMMUNICATE with one another. 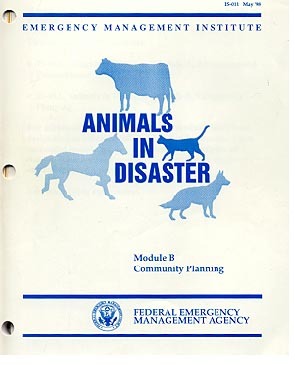 By conferring with one another BEFORE-HAND, ALL personnel involved (state, and local employees, EMT and emergency personnel, veterinarians, animal control personnel, farmers, pet owners and all shelter workers) will then have a clear-cut idea of their roles, and chain of communication with one another -- BEFORE DURING and AFTER a disaster strikes. http://www.geocities.com/RainForest/1395/ "Animal Rights On Line"
Highly informative website covers National & World-wide issues concerning Animal Rights. Some of what you'll read is TRAGIC. We can all help make things better! HUMANE SOCIETY WEB SITES Look at these innocent beings and tell ME why anyone could have the heart to DISCARD them!!!! Equine (Horse) Rescue in ETHIOPIA. Read about the work these people do. Highly recommended FREE Study Course. Ever notice how so many famous people in all walks of life have held animals in such high regard!? Please remember that "Anima" is the ancient Latin word for "Soul". God still thinks VERY highly of the animals, these noble and innocent creatures! Honor God, honor life, respect animals for the living beings that they are -- they have the same needs and desire for peace and safety that we human animals have (we are mammals!). Remember -- only the HUMANS were thrown out of Paradise!!!! And if we could understand what the animals are saying to us -- we would probably be VERY humbled and in awe of what they would say! "Dumb" animal does not mean "stupid". "Dumb" (colloq) is the old-fashioned word for "cannot speak like a human", and in the old days, gently referred to folks who were speech-impaired, as well as to the concept of animals not being able to speak like humans. "Dumb" (slang), when used as slang for "stupid", has no place when referring to any living being. PS - Ever notice how: Even after SO many animals have suffered and died in animal experiments for new drugs -- ever notice that these new drugs STILL have so many "Warnings" on their labels?? Those poor animals suffered died for what -- for MORE warning labels !! With the proliferation of evidence that shows how proper nutrition, herbs and vitamins not only help CURE and HEAL,but also help NOURISH the body -- how about doing this -- Let's start using what God put on earth for us (herbs, vegetables, grains, fruits, sunshine, pure water, pure air), to help heal and PREVENT disease, and let the animals live in PEACE and SECURITY!! 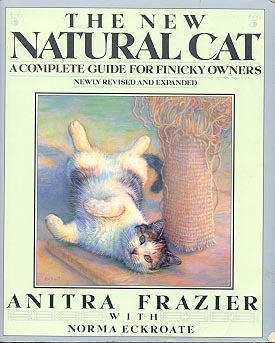 This Crazy For Cats site is owned by "Animals in Disasters" Spay-Neuter and Animal Rescue/Pet Information. Click Below to Subscribe to the "Multi-Lingual Pet Care Library" -- Pet Care and Animal Rescue information in MANY different Languages!! !